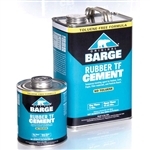 Originally developed during the 1930s as a new method for repairing shoe soles, Barge has been a trusted adhesive for over 70 years. 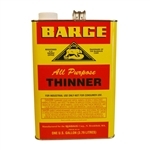 Barge has long been the adhesive of choice for leather crafting and shoe repair due to its unparalleled strength and flexibility. 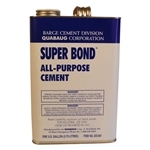 With a wide spectrum of bonding capabilities, applications range from resoling combat boots for active duty soldiers to creating model railroad scenery. 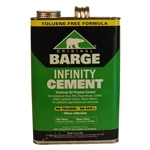 Barge has exclusively domestic manufacturing and customer service; increasingly environmentally friendly formulas; and our strongest ever dedication to taking care of the needs of our customers and associates. 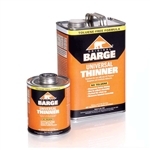 We focus on providing the best bond, so you can focus on everything else. 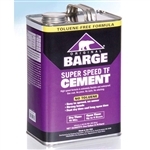 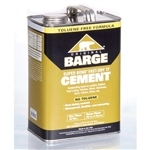 Barge All Purpose Cement - Small - 3/4 oz. 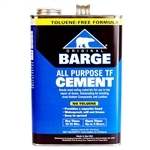 Barge All Purpose Cement - Large - 2 oz.